2. L'OREAL ELVIVE SMOOTH INTENSE has a soft sweet fragrance, it smells much better than Elvive Color, it makes my hair extremely soft and there is no use for extra conditioner. This was my first bottle and I will repurchase it again to replace the Color-Vive with it. This formula is enriched with Argain Oil and also Thermo protect agents. This shampoo leaves my hair clean, soft, less frizzy and ready for a big hot blow -dry. I think this is so much better than Color-Vive also regarding color protection and shine. 3. 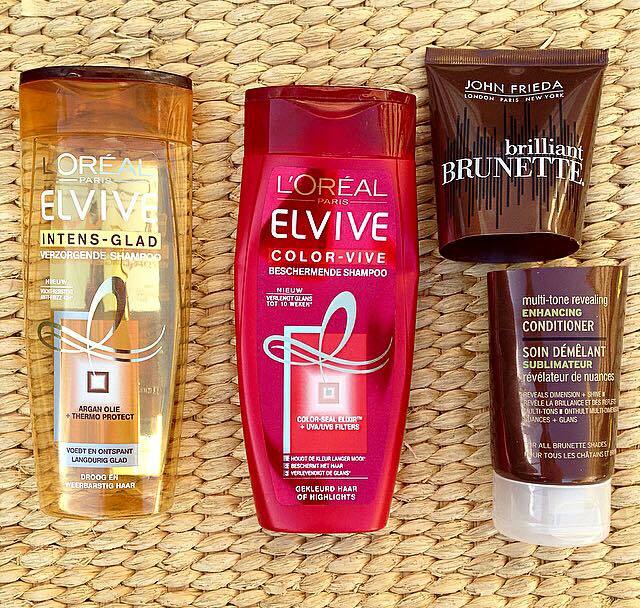 JOHN FRIEDA brilliant BRUNETTE conditioner. For me this is an amazing product, I love everything about it. It has a non-color deposit formula, enriched with sweet almond oil and crushed pearls. If you have dry, porous hair in shades of chestnut - brown or mahogany, you really must try it. It smells amazing makes my hair bouncy,soft,supple and easy to style. 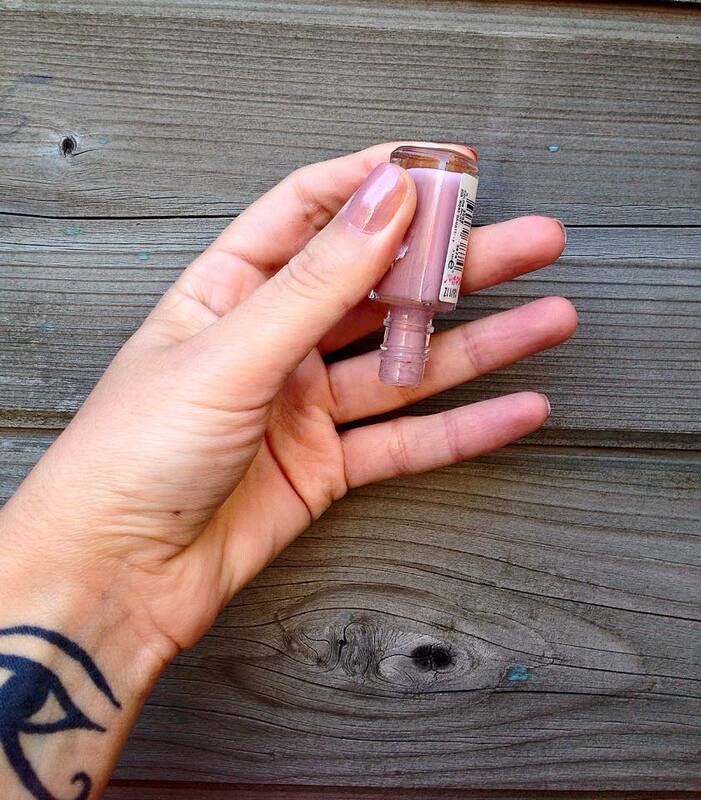 It brings my color to life and adds amazing shine and radiance. I will repurchase it. 4.WELLA PROSERIES HEAT & SHINE two-phase spray helps repair and protect hair against styling damage. I have been using so many of these :) I lost the track of it, I think maybe 3 or 4 every year. I spray it on dry hair before using the flat iron or I spray in my wet hair before blow drying. I don't like how it smells but I do love how my hair looks after I use it and I don't think I would be able to style my hair without it. It has 150 ml and it can last for a while because you don't need to spray a lot of product. Non sticky and non oily texture and not expensive. I still have 3 bottles but I will repurchase it for sure. 6. L'OREAL Paris Ever Riche Absolute Oil Precieux is like a fine mist of dry oil.This product can be used both on dry and wet hair, before and after washing. It has botanical ingredients, a sulphate and paraben free formula and in my opinion this is a great alternative for the Maroccan Oil. I find the scent of it amazing, very oriental with strong notes of Jasmin and Gardenia, it reminds me a bit of NUXE Huile Prodigieuse. 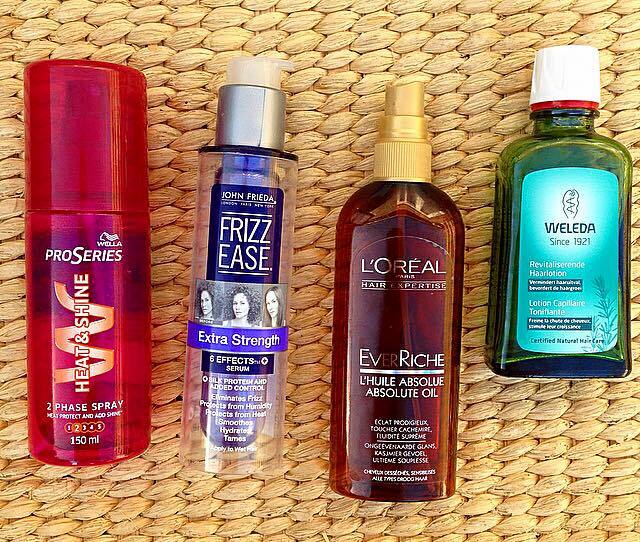 Best to use for dry and very dry hair. I already started a new bottle and this is my favorite hair product during winter. I will repurchase it. 7.WELEDA Revitalising Hair Tonic contains rosemary oil and precious extracts of stonecrop and horseradish leaves, improves the supply of nutrients to the roots of the hair, promotes natural hair growth and maintains a healthy scalp. This hair tonic lotion was wining the Platinum Award 2013 for Best New Natural hair product. I use this lotion only for a month during fall and another month during spring. Is quite expensive, around 10 euro for 100ml and it must be used 2 times a day (morning and evening ). It doesn’t leave oily deposits on the hair and it can be used daily without having to wash it out. This lotion is recommended for hair loss and dryness but don't expect new hairs to grow, I think this product is more to prevent a future hair loss than to treat a hair loss. I like this product even if it takes a while to see any benefits and I will repurchase it. 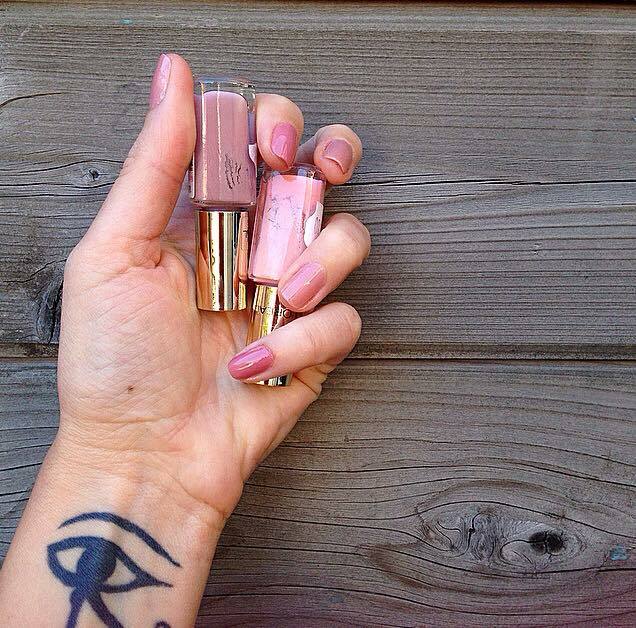 NAILS: I am gonna miss these beautiful nudes from L'OREAL , 202 Marie Antoinette (light soft pink) and 205 Rose Bagatelle. I loved both of them and I enjoyed them for almost 2 years. Few drops were left at the bottom but were way to thick and dry to be used. I hope I can find 205 Rose Bagatelle because I really want to buy it again. ......... this post is getting way to long, I think I will save the rest of the empties (body +face ) for another time. Let me know if you’ve tried any of these products before and your thoughts! Hi Michelle, thank you for your visit here :) I would really love to see them why don't you post them on Intagram ? samponul /balsamul sau serum-ul ? KLIK HERE REGISTER NOW AND GET BONUS ! ! ! !